Have travelers lost the class war? Whenever an airline introduces new lie-flat seats for its richest customers or makes its “elite” level more elusive by restructuring its loyalty program, as has been happening lately, it sparks a predictable debate about the growing rift between the “haves” and “have-nots” in travel. Next month, American Airlines will begin flying a new Airbus A321T between New York and San Francisco. 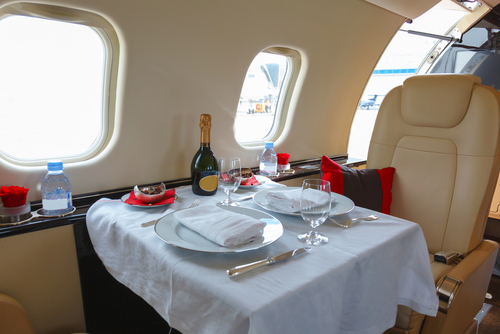 It comes with lie-flat seats in the front of the plane and an espresso machine only for first-class customers. Posted in Commentary Tagged CLASS, TRAVEL, war77 Comments on Have travelers lost the class war? Earlier this week, USA Today declared that some summer airfares had doubled, tripled — even quadrupled — with a sensationalistic headline that was worthy of this blog. The nation’s newspaper called on “travel price guru” Tom Parsons of BestFares.com, who said the cheapest tickets available on many routes in July are “100 percent to 300 percent higher” than a year ago. “I was so confused by the statements,” wrote the other travel price guru, Rick Seaney, on his blog. Then he proceeded to dismantle Parson’s numbers. Article states, non-stop Detroit-Providence roundtrip travel in July is $595 — up 365% — not true — Northwest Airlines has the only non-stops (no competition) and Wed, Thu, Fri, Sat, non-stop roundtrip 4-night trips in July are priced at $309 – $351 out-the-door (including the $21 in fees not mentioned on the noted fare). Departures Sun, Mon, Tue (non-stop 4 nights in July) are from $309-485 out-the-door. “Just trying to keep them honest,” he adds. What’s got their feathers all ruffled? It could have something to do with the fact that USA Today remains the most credible source of airline news in the mainstream media. Being featured as the “travel price guru” means you’re the alpha wolf of air travel. But I think it’s also true that there’s room for all three airfare experts, and probably a few more. As an observer of the airline industry — but by no means an expert — I can’t believe USA Today (or any newspaper) would bother quoting airfares in an article when everyone knows prices change by the minute. What they really need is a ticker to display the fare fluctuations in real time. And you can only do that online.